This morning, October 12, in sunny Pasadena, California, the Ninth Circuit Court of Appeals heard oral argument in the Robles v. Dominos case. The main issue on appeal was whether the district court erred in applying the doctrines of primary jurisdiction and due process as the basis for granting Domino’s motion to dismiss Robles’s claims that Dominos violated Title III of the Americans with Disabilities Act due to an inaccessible website. The parties and judges had a lively 30-minute discussion, after which the Court took the matter under submission. In addition to the main issue on appeal, the parties, amicus counsel, and the judges discussed whether the ADA applies to websites in the first place, whether the website is a communication or a service, alternatives to an accessible website such as telephone, whether this is an effective communication case or not, and why the prior and current Administrations’ DOJ haven’t issued regulations. Next week we’ll discuss our impressions and implications of this hearing. Have a great weekend everyone. The Department first articulated its interpretation that the ADA applies to public accommodations’ websites over 20 years ago. This interpretation is consistent with the ADA’s title III requirement that the goods, services, privileges, or activities provided by places of public accommodation be equally accessible to people with disabilities. Additionally, the Department has consistently taken the position that the absence of a specific regulation does not serve as a basis for noncompliance with a statute’s requirements. Absent the adoption of specific technical requirements for websites through rulemaking, public accommodations have flexibility in how to comply with the ADA’s general requirements of nondiscrimination and effective communication. Accordingly, noncompliance with a voluntary technical standard for website accessibility does not necessarily indicate noncompliance with the ADA. (emphasis added). The fact that public accommodations have “flexibility” in how to comply with the ADA’s effective communication requirement has been lost in the past eight years, even though DOJ made this point in its 2010 Advanced Notice of Proposed Rulemaking (ANPRM) for websites. In that document, DOJ stated that a 24/7 staffed telephone line could provide a compliant alternative to an accessible website. The few courts to have considered this argument in the context of an early motion to dismiss have recognized its legitimacy, but have allowed cases to move forward into discovery on this and other issues. There have been no decisions on the merits addressing the viability of having a 24/7 telephone option in lieu of an accessible website. The statement that “noncompliance with a voluntary technical standard for website accessibility does not necessarily indicate noncompliance with the ADA” is new and significant. It is a recognition that a website may be accessible and usable by the blind without being fully compliant with the privately developed Web Content Accessibility Guidelines (WCAG) 2.0 or 2.1. The statement confirms what some courts have said so far: That the operative legal question in a website accessibility lawsuit is not whether the website conforms with WCAG, but whether persons with disabilities are able to access to a public accommodation’s goods, services, and benefits through the website, or some alternative fashion. In response to the members’ concern about the proliferation of website litigation lawsuits, DOJ said: “Given Congress’ ability to provide greater clarity through the legislative process, we look forward to working with you to continue these efforts.” DOJ is essentially putting the ball back in the Congressional court, where little is likely to happen. 2018 has been a bad year for most businesses that have chosen to fight website accessibility cases filed under Title III of the ADA. Plaintiffs filing in federal court secured their second judgment on the merits in a website accessibility lawsuit, bringing the federal court judgment score to 2-0 in their favor. Additionally, in twenty-one cases where defendants filed early motions to dismiss, judges have allowed eleven to move forward. While a forty percent dismissal rate doesn’t seem bad, most of the cases that were dismissed had a common set of unique facts that most defendants don’t have. Below is a rundown of the most noteworthy 2018 cases and trends. 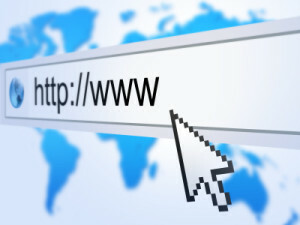 In June, the U.S. Court of Appeals for the Eleventh Circuit held that a prior private settlement of a website accessibility lawsuit in which the defendant had made a commitment to make its website more accessible did not moot a subsequent lawsuit brought by another plaintiff against the same defendant. The Court reasoned that the website remediation work was not yet complete, and the second plaintiff had sought other relief that was not addressed by the settlement. The Court also noted that if the defendant failed to comply with its settlement obligations, the second plaintiff would have no recourse since it was not a party to the prior settlement agreement. In July, the Eleventh Circuit became the second federal appellate court to explicitly address whether the ADA covers websites. The Court found that the plaintiff had stated an ADA claim against the defendant because the alleged barriers on its website prevented him from accessing the goods and services of its stores. Specifically, the blind plaintiff alleged that he could not access the store locator function or purchase a gift card online using his screen reader software. This case does have a silver-lining for defendants with web-only businesses though: The Eleventh Circuit’s analysis followed prior precedent holding that a public accommodation is a physical place, and plaintiffs seeking to bring ADA claims about inaccessible websites must show that a barrier on the website prevented them from enjoying the goods and services of that physical place. This puts the Eleventh Circuit mostly in line with the Ninth Circuit which has held that websites with no nexus to a physical place are not covered by the ADA, and is the only other federal appellate court to have ruled on the issue. In eleven other decisions, district court judges in Ohio, Pennsylvania, New York, Florida and Michigan allowed website accessibility cases to move forward into discovery, rejecting defendants’ requests for early dismissal. In most of these cases, the judges rejected the arguments that requiring businesses to make their websites accessible to people with disabilities in the absence of legal standards or regulations is a denial of due process, and that courts should not address website accessibility claims until the Department of Justice issues regulations. In August, Judge Schwab of the Western District of Pennsylvania issued a pointed decision against a retailer because he found the aggressive tactics of its defense lawyer to constitute bad faith. Specifically, after receiving a demand letter from the plaintiffs who later filed in Pennsylvania, the retailer filed a pre-emptive lawsuit in Utah against the plaintiffs seeking declaratory relief concerning their website-related obligations under the ADA, and asserting state law claims of negligent representation, fraud, fraudulent non-disclosure, and civil conspiracy. When the plaintiffs then filed their lawsuit in Pennsylvania, the retailer filed a motion to dismiss based on, among other things, the “first filed” rule which gives the court in the later filed action discretion to dismiss the latter case to avoid duplicative litigation and promote judicial comity. Judge Schwab said he did not have to apply the “first filed” rule where there was evidence of bad faith by defense counsel, and also said he would consider sanctions if defense counsel tried this forum-shopping tactic again in future cases. Judge Schwab further held that the ADA covers websites and allowed the case to move forward in Pennsylvania. Meanwhile, the lawsuit in Utah is still pending after the defense attorney in question withdrew from the case and the retailer filed a First Amended Complaint. The positive decisions for defendants this year have come from judges in Virginia, Florida, and Ohio. 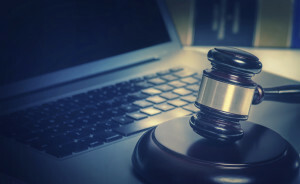 Judges in Virginia and Ohio dismissed six lawsuits against credit unions about their allegedly inaccessible websites because the plaintiff was not eligible to join the defendant credit unions. These are fairly unique facts that most defendants defending website accessibility suits will not have, however. There were four pro-defendant rulings in Florida, but one has been reopened because of the Eleventh Circuit’s holding that a prior settlement does not moot a subsequent lawsuit, discussed supra. In the second Florida case, Judge Gayles of the Southern District of Florida dismissed an ADA lawsuit because the plaintiff had not alleged that barriers on the website impeded his access to a physical place of public accommodation. In the third case, Judge Presnell of the Middle District of Florida dismissed a case because the plaintiff had not alleged that he really intended to return to the location and lacked standing. In the fourth case, Judge Presnell said that “alleging the mere existence of some connection or link between the website and the physical location is not sufficient.” Judge Presnell distinguished “an inability to use a website to gain information about a physical location” versus “an ability to use a website that impedes access to enjoy a physical location” and said the former is not sufficient to state a claim. The judge dismissed the case because the plaintiff’s allegations were about obtaining information, not impeding access. The takeaway from these recent decisions is that — while the defense strategy for every website accessibility lawsuit must be evaluated on its own set of facts — most courts are not willing to dismiss these cases early except in limited circumstances. Thus, defendants looking to fight must be prepared to go through discovery and at least summary judgment, if not trial. On Wednesday, September 12, 2018, Senator Chuck Grassley (Iowa) announced that he and Senator Mike Rounds (South Dakota) sent a letter to United States Attorney General Jeff Sessions seeking clarification on whether the Americans with Disabilities Act (ADA) applies to websites. Senators Joni Ernst (Iowa), Thom Tillis (North Carolina), Mike Crapo (Idaho), and John Cornyn (Texas) also joined in the request. The letter noted that the DOJ has issued no guidance or regulations to provide clarity, and that conflicting court decisions have created even more confusion, which plaintiffs’ attorneys are “exploiting” for “personal gain”, “sending threatening demand letters and filing hundreds of lawsuits against small and medium-sized businesses across the country – from banks and credit unions to retailers and restaurants”. The letter references our data, published in our July 17, 2018 blog, that more ADA website accessibility lawsuits were filed in the first half of 2018 than in all of 2017. It also cites Administrative Office of the U.S. Courts data that show filings of certain ADA cases increasing 521 percent from 2005 to 2017. These statistics show, the Senators write, that this litigious trend will only continue to grow unless the DOJ takes action. The Senators close by urging the DOJ to promptly take actions, including filing statements of interest in currently pending litigation, to resolve the current uncertainty, and to brief the Senators’ staff on the DOJ’s intentions on this issue by September 28, 2018. This letter comes not long after a bi-partisan assembly of 103 Members of Congress wrote a similar letter to the Attorney General in June. It remains unclear whether this letter will spurn any prompt action from the DOJ. Given the current Administration’s aversion to increased regulation, it is unlikely that the DOJ will re-start its website accessibility rulemaking any time soon. And, though the Senators urge the DOJ to take any actions in its power—including filing statements of interest—the DOJ has thus far been unwilling to do so. Unlike the Obama Administration which weighed in in favor of plaintiffs on the private lawsuits brought against Winn-Dixie, M.I.T. and Harvard University, the Trump Administration declined to file a brief in a website accessibility case last year despite the district court’s invitation. Thus, we continue to wait and see how Attorney General Sessions and the DOJ react to the Senate letter. In the meantime, we, like the Senators, expect website accessibility lawsuits will continue to be filed at a record pace throughout the United States. We get a lot of questions about service and emotional support animals. It’s obvious that there is a lot of confusion out there. Here is how to tell one from the other, and the rules that apply to both. Public Accommodations. Under Title III of the federal Americans with Disabilities Act (ADA) and virtually all state laws, a service animal is an animal that has been trained to perform work or tasks for the benefit of a person with a disability. Emotional support animals—also called therapy or comfort animals—have not been trained to perform work or tasks. Instead, they provide a benefit just by being present. Public accommodations (e.g. restaurants, theatres, stores, health care facilities), are allowed to ask only two questions to determine if an animal is a service animal: (1) Do you need the animal because of a disability? and (2) What work or tasks has this animal been trained to perform? The second question is the key: If the person is unable to identify the work or tasks that the animal has been trained to perform, then the animal is not a service animal. Under the ADA, only a dog or miniature horse (no, we are not joking) can serve as service animals. The ADA requires public accommodations to allow service animals to accompany their owners anywhere the owners can go, although the Department of Justice made clear a few years ago that they can be prohibited from swimming pools (in the water) as well as shopping carts. The ADA provides no protection for emotional support animals in public accommodations. The Department of Justice has a very helpful FAQ about service animals, and the Washington Post recently published a story that is also useful. When developing policies, public accommodations must comply with both federal and state law, and some states provide greater protections. For example, in some states, any type of animal (not limited to dogs and miniature horses) can be a service animal provided it has been trained to perform work or tasks. Some states may provide protection for emotional support animals as well. Virtually all states protect service animals in training, which are not addressed by the ADA. Thus, public accommodations must tailor their policies to account for state requirements, or adopt a policy that will comport with the broadest of all state laws nationwide. Housing. The federal Fair Housing Act (FHA) applies to residential facilities and provides protection for emotional support animals in addition to service animals. Thus, property managers, condo associations, co-op boards, and homeowners associations need to keep this in mind when dealing with requests from homeowners and tenants relating to these types of animals. The Department of Housing and Urban Development’s most recent guidance on this topic is here. Airplanes. The Air Carrier Access Act (ACAA), not the ADA, governs accommodations for people with disabilities on airplanes. The Department of Transportation (DOT) is responsible for enforcing the ACAA rules. Historically, the rules have required accommodations for emotional support animals, but recent abuses of the rules by passengers seeking to bring all manner of animals such as peacocks and pigs onto planes has caused the DOT to revisit this issue in a pending rulemaking. Compliance Strategy. All businesses should have a written policy concerning service and emotional support animals that takes into account federal law, state law, the nature of the business, and the ability of employees to make decisions about whether an animal should be allowed onto the premises. Having a written policy and training employees on the policy is key to ensuring that they know how to respond when one of these animals shows up on the premises. ADA Title III Lawsuits (All Types). Plaintiffs filed 4965 federal ADA Title III lawsuits in just the first six months of 2018, as compared to 7,663 for all of 2017. If the filings continue at the same rate, there will be close to 10,000 ADA Title III lawsuits for all of 2018 – a 30% increase over 2017. In addition, for the first six months of 2018, New York (1026 lawsuits) has overtaken Florida (882 lawsuits) for the honor of having the second highest number of ADA Title III lawsuits, with California (2155 lawsuits) retaining its number one position as the most busy jurisdiction for ADA Title III filings. ADA Title III Lawsuits (Website Accessibility). Plaintiffs filed more website accessibility lawsuits in federal court for the first six months of 2018 than in all of 2017. There were at least 1053 of such lawsuits in the first six months of 2018, compared to 814 in all of 2017. If the filings continue at this rate, there could be more than 2000 website accessibility lawsuits filed in federal court for 2018. The New York federal courts have the most website accessibility lawsuits (630 lawsuits). The Florida courts lag behind with only 342 lawsuits, and the remaining 10 states have anywhere from 1 to 24 lawsuits apiece. Website accessibility lawsuits are only partly responsible for the increase in the overall number of ADA Title III lawsuits. We continue to see many lawsuits about the accessibility of public accommodations physical facilities. We have recently seen a number of class action lawsuits about hotel shuttle services and online hotel reservations systems. Our Methodology: Our overall ADA Title III lawsuit numbers come from the federal court’s docketing system, PACER. However, because the area of law code that covers ADA Title III cases also includes ADA Title II cases, our research department reviews the complaints to remove those cases from the count. Our website accessibility lawsuit data comes from searches using key words in the Courthouse New Service database which we then manually analyze. Both processes result in lists of cases that we know exist, but there may be a few we have missed. In addition, our review did not include any accessibility cases brought in state courts under state law such as California’s Unruh Act that were not removed to federal court. Seyfarth Synopsis: Responding to the surge of website accessibility lawsuits filed under Title III of the ADA, 103 members of Congress from both parties sent a letter to Attorney General Sessions urging action to stem the tide of website accessibility lawsuits. The congressional support for this letter arises on the heels of a recent surge in website accessibility lawsuits against public accommodations in every sector alleging that websites that are not accessible by people with disabilities violate the ADA. In 2017, a number of courts rejected defendants’ attempts to obtain early dismissals of these cases and supermarket chain, Winn Dixie, lost the first trial in a website accessibility case. These decisions opened the proverbial floodgates and resulted in at least 814 federal lawsuits in 2017 about allegedly inaccessible websites, including a number of putative class actions. The federal lawsuit numbers for 2018 will likely be substantially higher as our tracking shows that there were 349 suits just in January and February of 2018. Despite the monumental increase in litigation and urgent need for clear guidance, the DOJ abandoned its rulemaking on website accessibility standards for public accommodations websites at the end of 2017, seven years after it said it would issue regulations on this issue. [B]usinesses of every shape and size throughout the country are being threatened with legal action by private plaintiffs for unsubstantiated violations of the ADA. This problem is expanding at a rapid rate since the Internet allows such actions to be filed from anywhere, and there are no restrictions or limitations on making such complaints. The absence of statutory, regulatory, or other controlling language on this issue only fuels the proliferation of these suits since there are no requirements these complaints have to meet. In fact, in most cases these suits are filed for the purpose of reaching a financial settlement and little or nothing to improve website accessibility. We support the original spirit and intent of the ADA. However, unresolved questions about the applicability of the ADA to websites as well as the [DOJ’s] abandonment of the effort to write a rule defining website accessibility standards, has created a liability hazard that directly affects businesses in our states and the customers they serve. It is unclear whether this letter will spurn any prompt action from the DOJ. Given the current Administration’s aversion to increased regulation, it is unlikely that the DOJ will re-start its website accessibility rulemaking any time soon. And unlike the Obama Administration which weighed in on the private lawsuits brought against Winn-Dixie, M.I.T. and Harvard University, the Trump Administration declined to file a brief in a website accessibility case last year despite the district court’s invitation. Thus, we will have to wait and see how Attorney General Sessions and the DOJ react to the congressional letter. In the meantime, we expect website accessibility lawsuits will continue to be filed at a record pace throughout the United States.